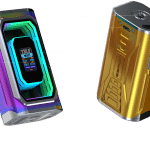 Here are cheap deals for the Joyetech Espion Infinite Box Mod or Kit. 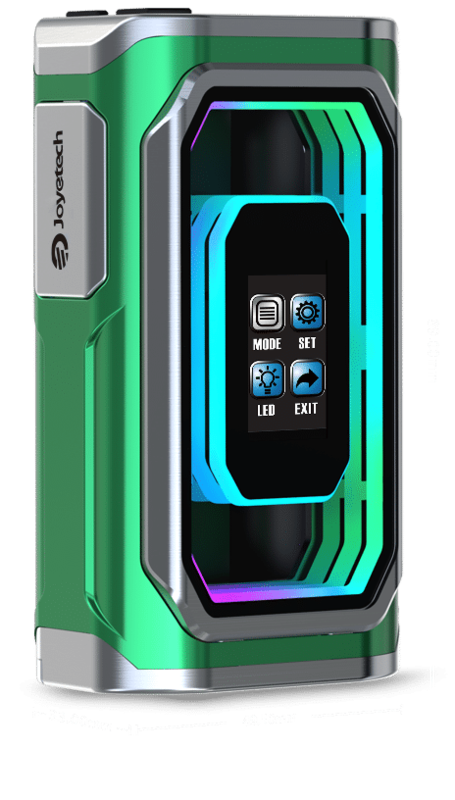 This 230 watt box mod features a full color display which is surrounded by infinite LED light strips for an amazing appearance. This kit retails for $80! 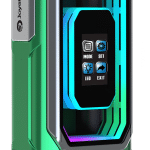 The Joyetech Espion Infinite Mod features a full color display, gorgeous tunnel lights with customizable patterns, tons of bright finish options, 230 watts of power, temperature control including TCR, low resistance capability, 18650 & 21700 battery compatibility and a fast charging system. 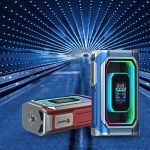 With red, dazzling, blue, gold, green and black finish options, the Espion Infinite Box Mod is compact thanks to dimensions of just 49.5mm x 33mm x 89.0mm. 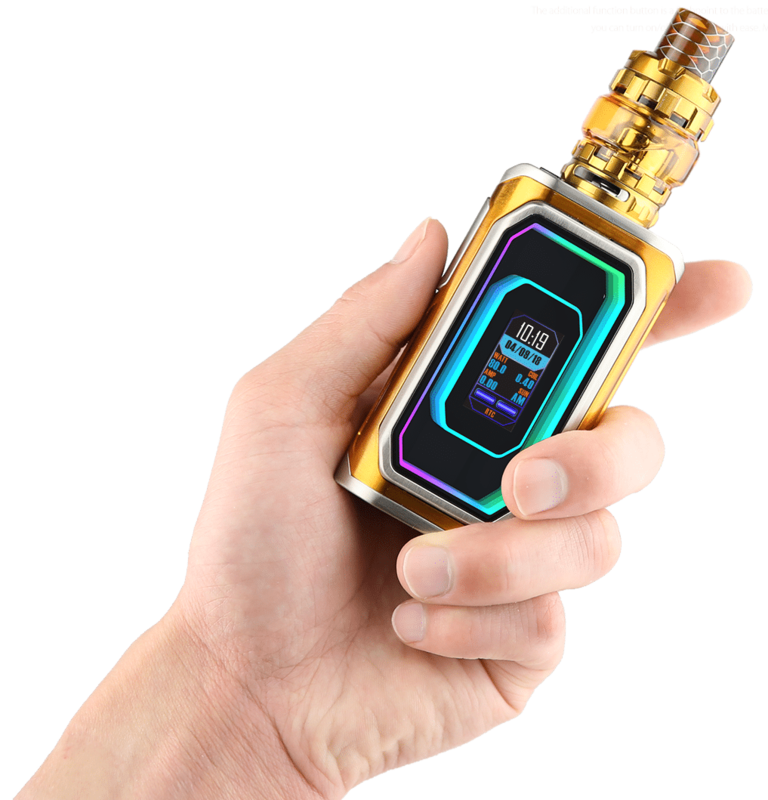 The design looks to be futuristic due to stunning rainbow tunnel lights on the front that not only can be customized, but also react to each action that is performed. 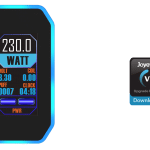 Inside the inner tunnel lights, you will find a 0.96″ TFT full color screen that has a 80 x 160dpi resolution and features an intuitive menu system. There three main menus: mode menu, settings menu and LED menu. 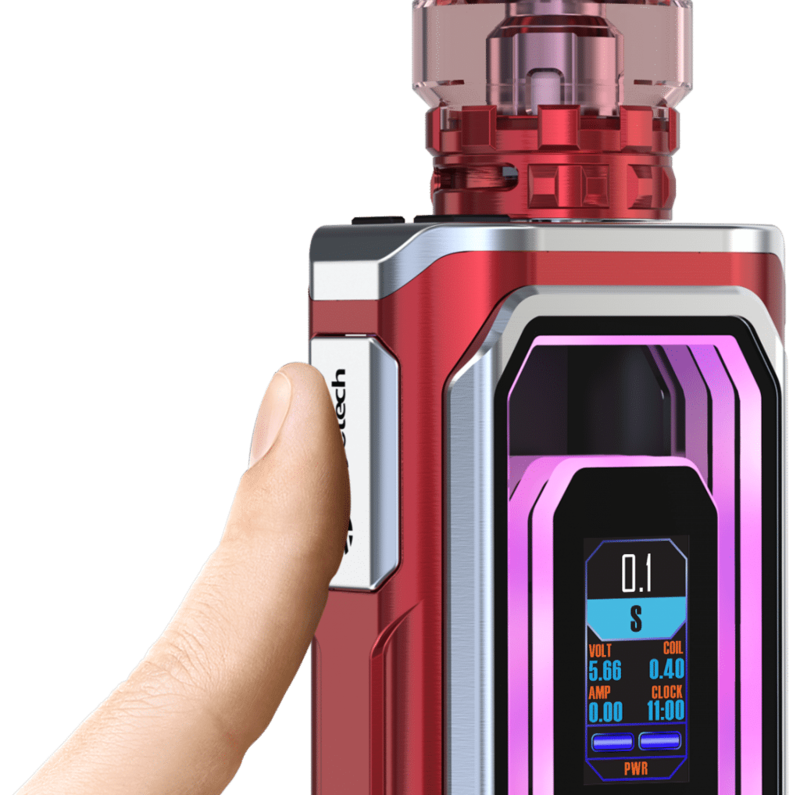 During normal operation, the vape data on the menu includes current time (can be set to digital or analog clock), date, current power, resistance, voltage and battery bars. 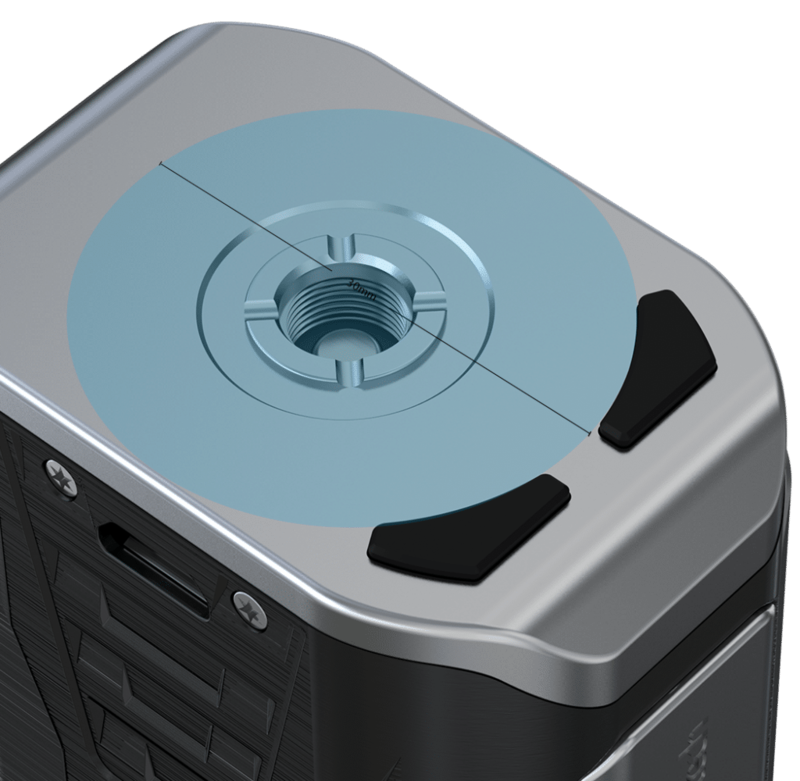 At the top of the mod, you will see a centered 510 connection bezel that was specifically designed to be highly compatible with a wide range of atomizers. 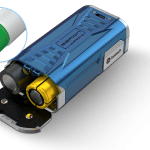 According to the specs, the connector can work with 510 atomizer pins up to 5.5mm long and atomizers up to 30mm in diameter. 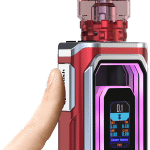 The Espion Infinite is compatible with 21700 high drain batteries that, thanks to their 3000mAh capacity, extend vape times. 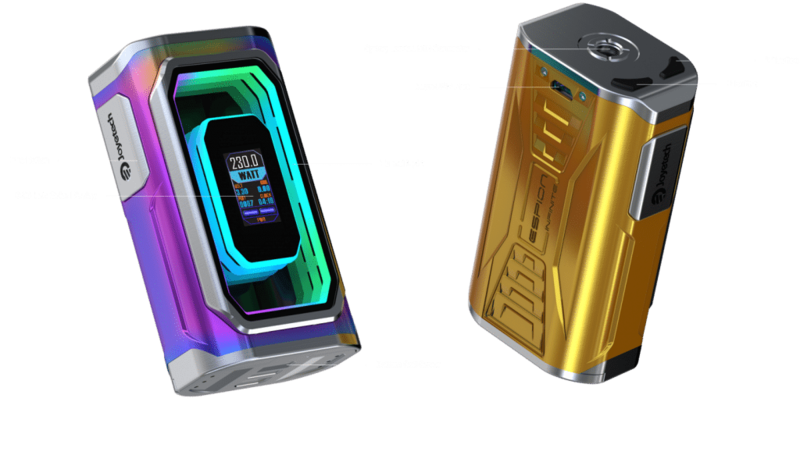 But, don’t worry if you lack these batteries as the mod still operates with 18650 cells if you use a special sleeve included in the package. 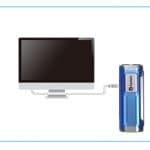 A micro USB charging system that utilizes a 2 amp current can charge the batteries very quickly or you may remove the cells via an effortless battery door at the bottom and charge them externally. 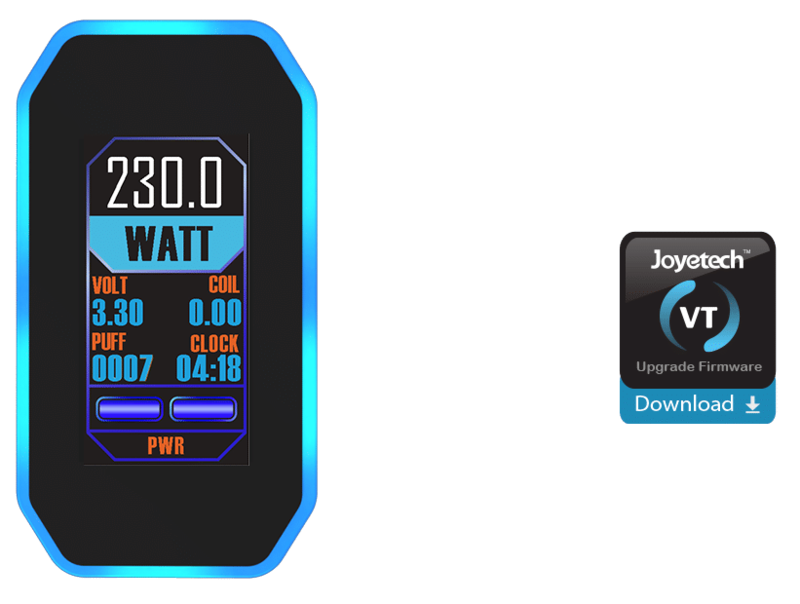 For safety, the charging setup utilizes a balanced system to ensure both cells achieve equal voltage. 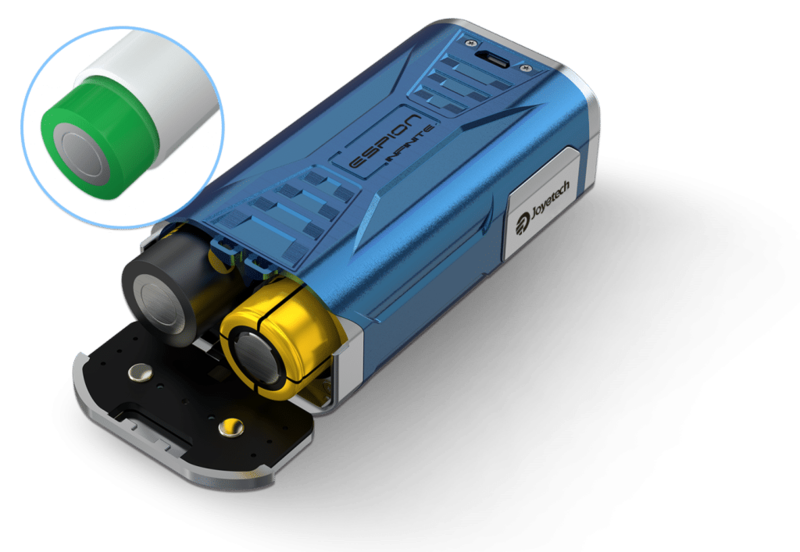 Technically, this mod stands apart from the crowd because it fires almost instaneously upon activiation. 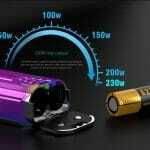 The device is also powerful thanks to 230 watts of power for high wattage vaping. 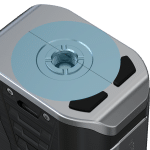 A myriad of temperature control modes are built into the operating system and include nickel, titanium and stainless steel temperature control and TCR mode of which the settings can be memorized in three different slots. Atomizer resistance is a very low 0.05ohm in both power and variable temperature operation. 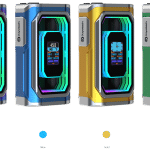 The Joyetech Espion Infinite Box Mod is also safe: reverse polarity protection prevents damage due to wrong insertion of the batteries and a protection circuit system ensured overall protection of the batteries from over-charging, over-current and over-discharging. 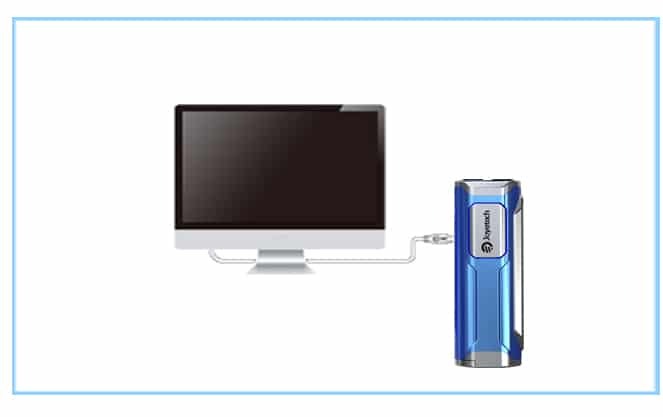 You can rest assure this device is reliable and safe to use! 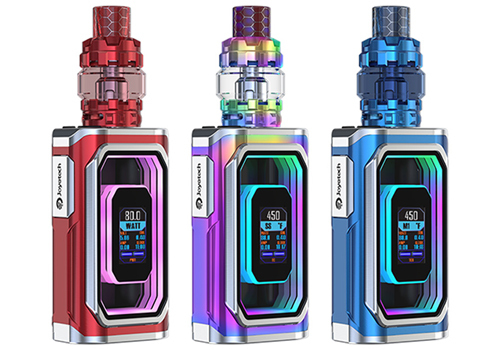 If you get the Espion Infinite kit, you will also receive a 5.5ml e-juice capacity ProCore Conquer Tank with honeycomb drip tips.